Get your tickets today for the 125th Annual Chamber Banquet set for Thursday, Jan. 31 at the Phillips 66 Atrium Cafeteria. Tickets are $40 per person. 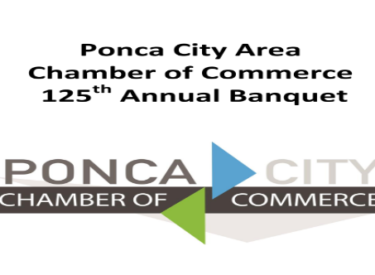 The Chamber promises the food will be amazing, the fellowship awesome and some incredible businesses and individuals will be recognized for making Ponca City a great place to live and work. We’ll hear from the 2018 Chamber Chair Mandy Morris and the 2019 Chamber Chair, Erik Peitz.